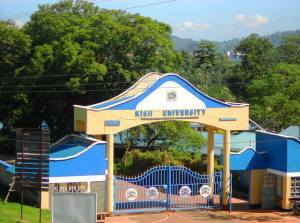 Kisii University admission letter is a document that proofs that a student has been offered provincial admission into the university to pursue a certificate, a diploma or a degree course. The official Kisii university admission letter contains detailed information concerning a course one has been selected to pursue. 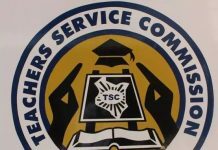 The letter contains information about the school offered admission, the faculty/school/college, department, the course one is pursuing, the duration of the course among others. 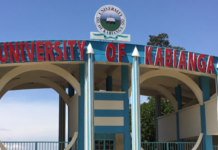 The good news is that prospective Kisii University students who have been selected for academic year 2019/2020 can now download their admission letters from the Kisii University student portal. Its important to note that only students who have been offered an opportunity to Kisii university will access admission letters. This therefore means that before you proceed to Download your Kisii University Admission Letter, it’s recommended to check and verify from your KUCCPS portal whether you have been offered an admission to Kisii University. Once you have confirmed your Kisii University Admission Status, proceed to Kisii University Admission Portal: http://admission.kisiiuniversity.ac.ke to Download your Admission letter process. Once prompted enter your Application Details, i.e Your user name and password or index number. Navigate to the Admission Letter section to download and print your admission letter.